this is not Alaska. this is the Bering Strait, and the moose is russian. i know this because in Soviet Russia…. 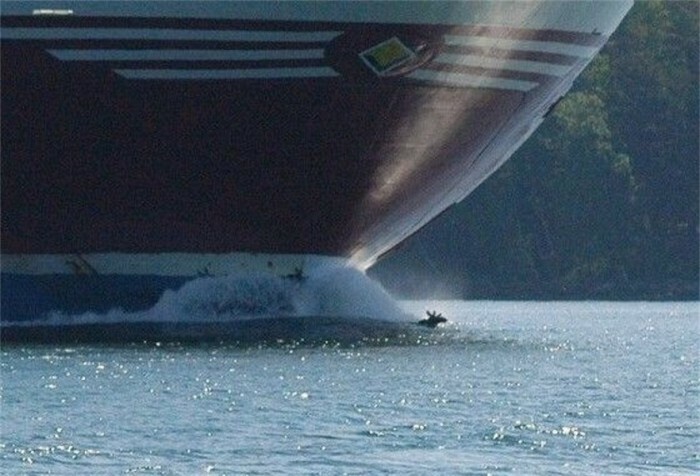 What’s so rare about that boat, and why is it towing a moose? I think this is somewhere in the north of Europe – Sweden or Finland. The ship is clearly displaying logo and livery of Viking line (the nose looks like Gabriella or Amorella), which operates within the Baltic sea between Sweden, Finland and Estonia.